The QuickBooks ProAdvisor® Program equips accounting professionals with the tools they need to fuel small business success. Mariette Martinez, EA, transitioned from her career in accounting firms to opening her own practice, specializing in self-employed entrepreneurs. Learn how the ProAdvisor Program has transformed the way she works, learns, serves her clients and finds inspiration. 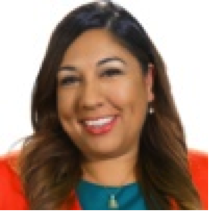 Mariette Martinez: I first started using QuickBooks® in the 1990s, when I was in college working for a small CPA office, compiling tax returns and doing a bit of data entry. After graduating, I was recruited by a national accounting firm doing partnerships for hedge funds. I got right into a niche, which was really interesting right out of college because that’s usually what you don’t want to do. I worked on the back office bookkeeping and tax preparation side for the partnerships, and that’s when I started working heavily in QuickBooks. At this time, I was exposed to establishing a specialty and creating a niche, but I felt like it was way too early to be doing that. Then, my entire life just flipped the script. I got married and my husband got a position in Mexico, so I ended up taking two years off. I was nervous because I was barely starting my career. I ended up helping my husband with some business development, which made sense for me. Coming from a family of entrepreneurs (my mom had a chain of restaurants for 30 years), I already had a lot of that business development and marketing background. Eventually, we had our first child and came back to the U.S., and I was happy to work again in what I wanted to do. Fast forward to 2007, I was pregnant with my second child and had to ask myself, “What am I going to do now?” At the time, the idea of remote employees was getting big, but it was still new enough that it wasn’t proven that you could actually work from home and make real money. I was hired in a remote role to do technical support for a software company, and I gained a lot of respect for the technology side of the business. When the company decided to eliminate remote work and bring everyone in-house to their Texas office, I had to decide what to do, but this Southern Cal gal wasn’t ready to move out of California. So, I started my own practice as a mommypreneur, probably over a weekend. I mean, I did it really, really fast. I got my Enrolled Agent license within a couple months. I had the background, the license and the degree, but I knew I needed something more to help me establish my own practice and grow fast. I needed a title. I realized that the ProAdvisor Program had marketing, sales and training resources. I became a Certified ProAdvisor and made full use of the Find-a-ProAdvisor directory, which was my entire marketing strategy for a good three years. I got all my clients from that directory, and I was able to scale my business really quickly. I wasn’t nervous because I was already getting so many self-employed clients, and I knew the market was growing into the multi-millions. I realized that if the market is that big, it’s not really a niche, but by branding myself as an expert in that area, I’ve been able to move forward. MB: How does being a ProAdvisor specifically help you? MM: I’m always bringing up the fact that I’m an Intuit expert and a ProAdvisor. Intuit is my number one partner. For me, it helps a lot because even though my own practice is small, my partners are big. That’s really important. I think for anyone considering the ProAdvisor Program, it’s not just about the Certification. There are over 200,000 of us, and the biggest value comes from being able to say that one of our partners is Intuit. That’s a big deal, and something I’ve really been able to use to my advantage. MB: What’s the most rewarding part of serving self-employed clients? MM: I’m still learning and growing into who I am as an entrepreneur, and the startup entrepreneurs I work with are growing with me. What’s most exciting about what I do is that they’re discovering who they are while working with me. It’s incredibly rewarding for me to be a part of that. MB: It sounds like you’ve really made the ProAdvisor resources work for you. What tips do you have for other ProAdvisors who might just be getting started? MB: What role has the ProAdvisor training played in your practice growth? MM: I think I’m actually getting more out of it now than I was several years ago. Back then, it was a bit more do it yourself, but now, it’s awesome and so valuable. I don’t know what Intuit did over the last two years, but it seems like Intuit has gone all-in on creating a university of resources to help us grow as professionals. One example is QuickBooks Connect – that has been humongous in terms of education. Intuit is really pushing us to take advantage of all these resources, and I feel the value of that all day long. Sometimes, people assume that because I’m a QuickBooks trainer, I don’t actually attend other training events, which is wrong! Just the other day, I was on this webinar to learn new content and also see how others are teaching it. I always tell people to go to the “QuickBooks In the Know” webinar. I really appreciate how the content is broken out across the hour, so that I can listen in on just to the parts I want to learn about. It shows how Intuit is becoming a more strategic educator, creating training that meets the way we want to learn. MB: In closing, what do you love most about being a ProAdvisor? MM: What I find to be most inspirational is how important the program is to people. And, not only that, but also the type of people that the program attracts. At Scaling New Heights 2016, I listened to a keynote presentation from Dawn Fotopulos and she blew my mind. She wrote this blog about how she fell in love with 3,000 people in 2016, and those 3,000 people were the ProAdvisors at Scaling New Heights. She said she basically fell in love with all ProAdvisors because ProAdvisors are people that care and people that are client-centric. They’re trying to bring real value to businesses, so that they can thrive and grow. She said she was always looking for a tribe of people like that, not knowing that because of the ProAdvisor Program, there already was a tribe. We’re all Intuit accountants and we scale each other up. We challenge each other because, in a sense, we’re all competitors, but in my experience I’ve never felt this competition to be negative. It keeps me on my toes and challenges me to be the best I can be. And, really, we’re all supporting each other. I’m getting everything I can out of the ProAdvisor Program, and I’m not alone. When I talk to other ProAdvisors, they’re always saying how the program has changed their life and transformed their business. I’m speaking for everyone when I say I really appreciate what Intuit is doing and I would not have reached some amazing career milestones if it wasn’t for my loyal partnership with this 34-year startup.